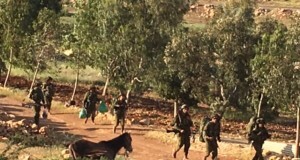 Located in-between the settlements of Petza’el and Tomer in area C, the community in Fasay’il al Wusta is prevented from accessing running water or electricity, they are not allowed to tarmac the stony track that is the only road access to their homes, and they have been subjected to the violent destruction of their homes four times since October 2011. 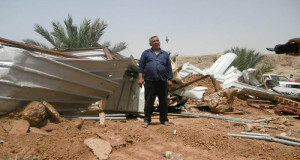 In November 2012, the Israeli Occupation Forces issued new directions to members of the community in Fasay’il al Wusta – this time they are threatened not only with demolition of their homes but with eviction. In order to resist this forcible displacement, members of the community now want to build more homes to stay on their land. 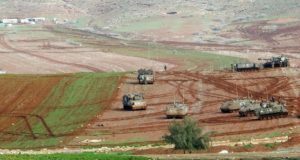 Jordan Valley Solidarity works to support and strengthen the steadfastness of Palestinian communities in area C to remain on their lands. Among different activities, Palestinian and international volunteers work with communities across the Jordan Valley to rebuild homes and other structures that have been destroyed by the Israeli Occupation Forces using natural resources. meet and support members of the community, and learn about their day-to-day struggles against the occupation. Workdays will take place every Saturday throughout the coming weeks. Please contact Rashed on 0592391208 if you are intending to come. From Jericho, take a servees (via Al Auja) to Fasay’il and we will meet you at the entrance of the village on Road 90. From Nablus, take a servees from the Eastern Garage to Al Jiftlik (15NIS) and ask the driver to drop you at the Friends Meeting House (Al Beit Al Qadeem). Please try to arrive by 8:30am. A simple vegetarian lunch will be provided, donations welcome.